Happy Friday dear readers! What are you doing this weekend? If you're in New York City, you can party it up in style at the Image Powerhouse first-year anniversary pop-up event on Saturday, April 13 12-6 pm. Image Powerhouse is an entertainment production studio with an e-commerce presence in fashion, beauty, lifestyle, and luxury brands. To celebrate the company's first birthday, CEO and founder Kim Loan is hosting the company's first monthly pop-up events, in which emerging fashion designers and beauty and lifestyle entrepreneurs can showcase their clothing and products. This month's event includes designs by SkyFish swimwear, high-end Asian beauty and skincare products from Peach and Lily, Peruvian couture house Godettes Peru, men's sportswear designer Jensen Martin, and beauty concierge services by The House of Makeup. 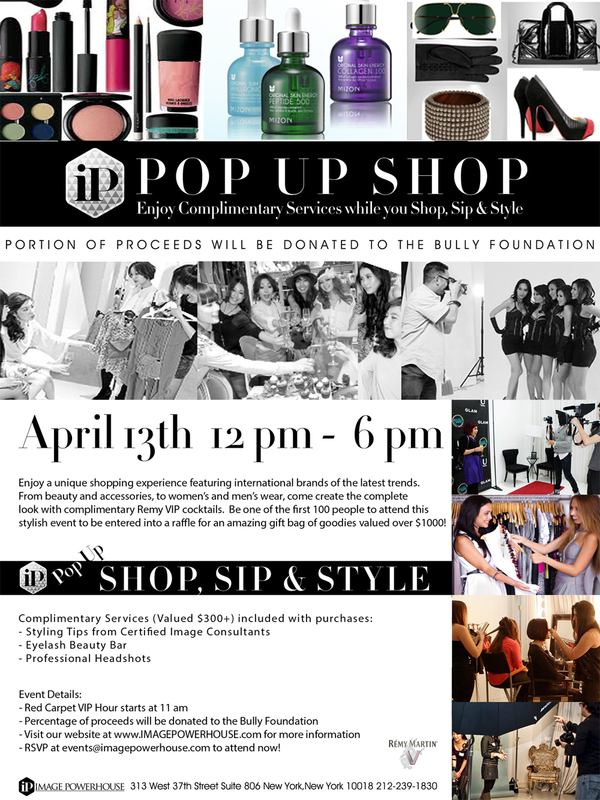 You'll not only have the opportunity to meet with the designers and entrepreneurs themselves, but you'll also be styled by the Image Powerhouse consultants, sip on Remy Martini cocktails, and glam yourself up at the lash bar. If you're one of the first 100 shoppers, you will be entered into a raffle to win a gift bag worth $1,000 of clothing and products. RSVP to attend here. See you there! To learn more about Image Powerhouse, visit http://www.imagepowerhouse.com/. Makeup Mondays: Spa Week Is Here!